I have recently went to Corsi dental for the first time, after not having been to the dentist in years and being scared to go back to one after a bad experience. I loved that It did not take very long for them to see me. They were very quick to take me back and get me started, unlike many offices that have you waiting for hours. I noticed right away how the office was very clean. Everyone that I met that worked there, The ladies at the desk, the dental assistant, and the dentist, were all very kind and helpful! The dentist himself was very gentle and truely seemed like he wanted to help the best that he could. 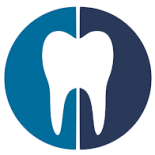 Unfortunately, even though they do root canals and extractions, they do not do them on Mollars. Of course, my problems were with my Mollars.They wanted to help, but explained that they do the kind of work that I needed done but do not do that work on mollars. So they ended up referring me to another office in marlton that has orthodontists and periodontist that could help me better. I wish they could have done the root canal and extractions that I needed done, but I understood that they wanted me to go to someone who could help me and my problems with my teeth better. The dentist I saw at Corsi dental was very kind and understanding. Instead of rushing on to the next patient, like many do, he sat there with me and He made sure I wasn’t confused about anything and I understood exactly what was going on with my teeth, what my options were, and what they recommend. He made very clear that it was my choice with whatever I wanted to do with my teeth, but made sure I knew what options I had (if the damage was not too bad) and what exactly would be done with each. He also made clear that if I had any questions then or later about my teeth or my options, that I could ask him anything and he would explain. If I did not have any questions at that moment, then I could call later and they would make sure my questions were answered. Even though they could not help me there with what I needed done, they were very helpful, kind, and understanding. I will definitely be going back and keeping them as my regular dentist in the future.